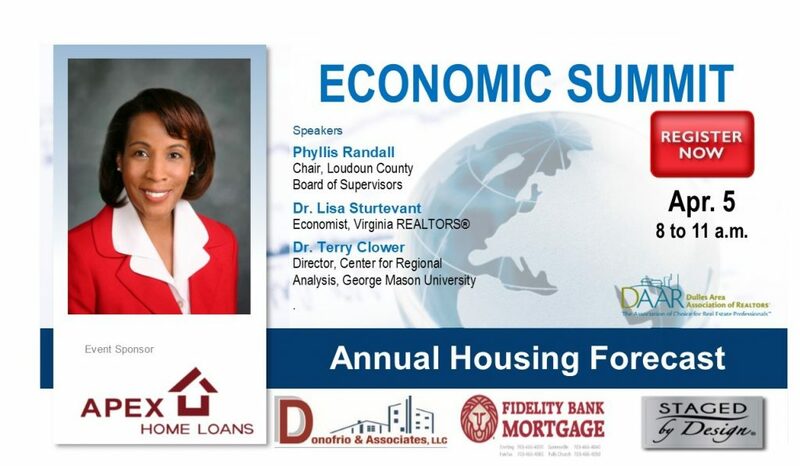 Join us for DAAR’s Economic Summit on Friday, April 5, 8-11AM at Loudoun County School Administration Building, 21000 Education Court, Ashburn, VA. The event offers an opportunity for REALTORS® in the Northern Virginia and Loudoun County area to understand housing and economic trends and forecast for 2019 and beyond. For more information, view the flyer .